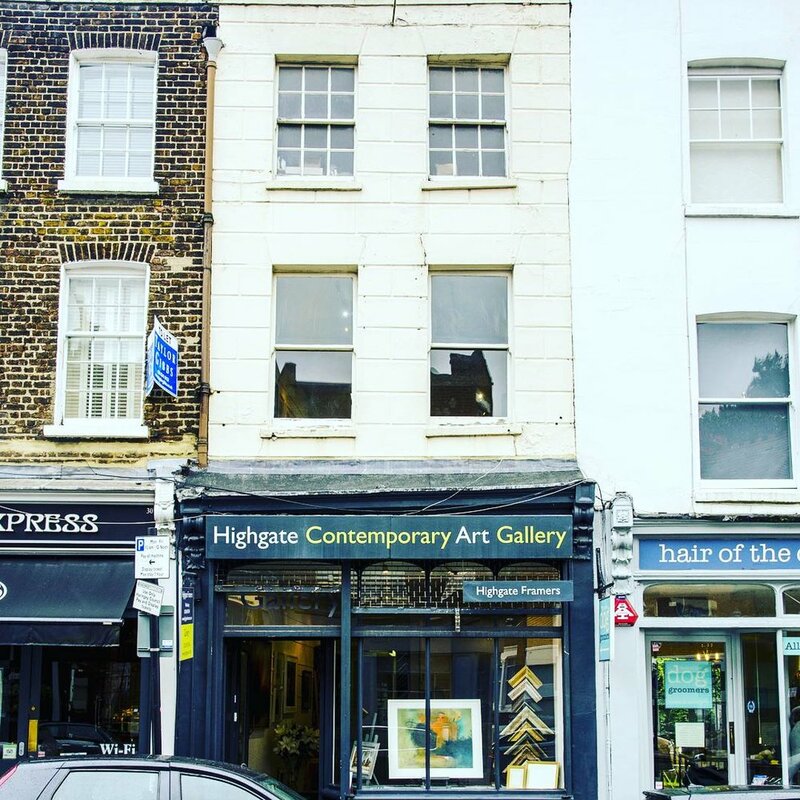 Set in the heart of Highgate Village, Highgate Contemporary Art is a unique, independent, artist-led gallery that specializes in contemporary British and European paintings, sculpture and ceramics. 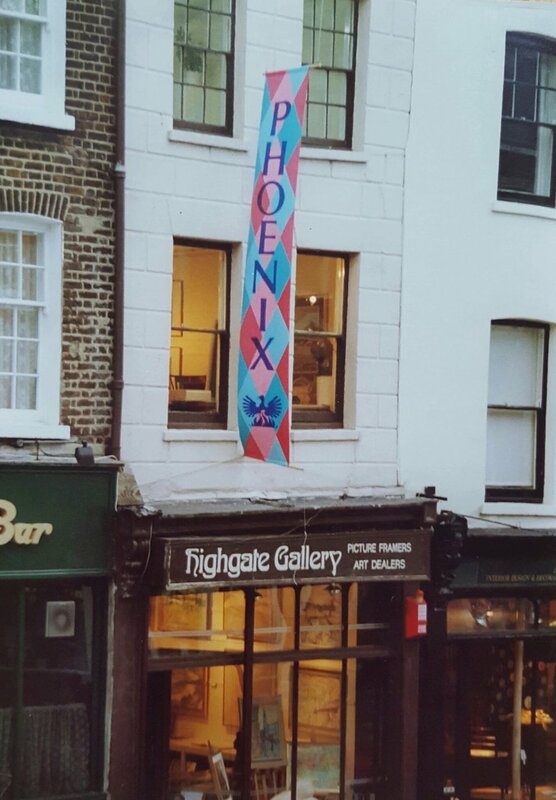 First established in the mid 1950’s Highgate Contemporary Art has a rich artistic heritage displaying the works of Jacob Epstein to modern day masters such as Tim Benson VPROI as well as ensuring plenty of opportunity for emerging artists to exhibit work. The exhibition calendar is packed full of shows with approximately 13 – 15 exhibitions per year of which, at least two are mixed exhibitions displaying more than 80 pieces of work. The 18th century, Georgian building houses two floors of beautiful gallery space as well as the studio of Hannah Ivory Baker. Studio visits are possible by appointment only. Please email the gallery to arrange. The street level gallery is light and airy and currently houses Thrown, a dedicated space for contemporary ceramics. The space is able to comfortably display up to 25 works of varying size whilst leaving plenty of extra space for sculpture and ceramic displays. 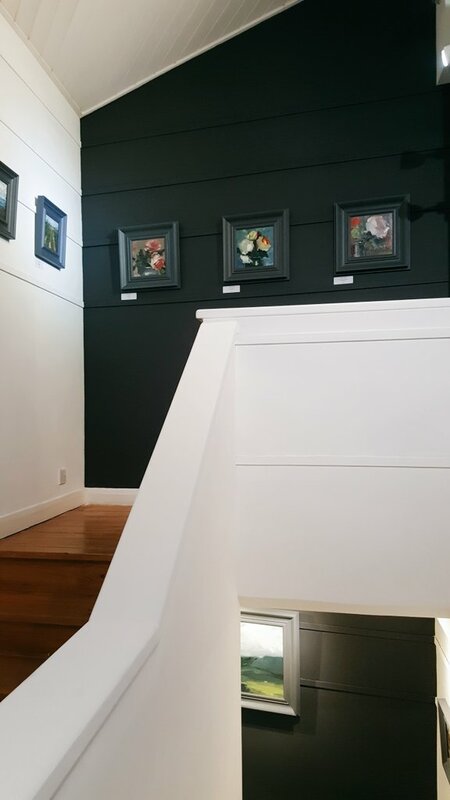 Work is uniquely displayed throughout the stairwell, leading you to a recently refurbished gallery on the first floor. This space, bathed in natural light provides an intimate venue in which to view the work of our fantastic gallery artists. All work at the gallery is for sale. If you would like any further information about the gallery, would like to commission one of our artists, have a purchase enquiry or require any other information, then please do not hesitate to get in contact via the details listed on our contact page.